Listen to an excerpt of Lisa Scottoline's FEARED audiobook, read by Kate Burton. 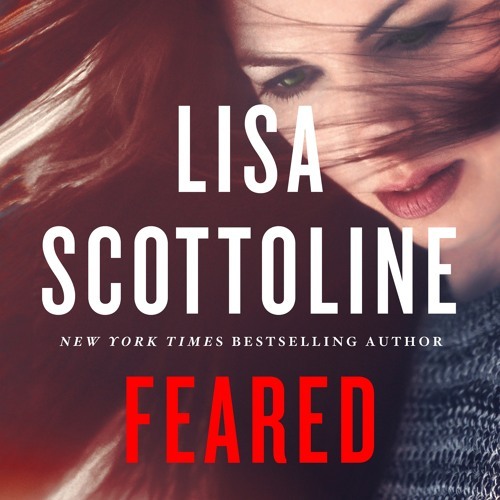 In the new thriller audiobook from New York Times best-selling author Lisa Scottoline, Mary DiNunzio’s ruthless nemesis Nick Machiavelli is back...with a vengeance. Machiavelli, a corrupt lawyer, aggressively strikes close to the DiNunzio household, attacking Mary’s father and one of their beloved family friends by filing a lawsuit that accuses them of embezzling from the treasury of a local South Philly social club to which they belong. The lawsuit is frivolous, but Machiavelli ups the ante by spreading rumors that support its allegations, muddying the reputation of Mary's father. The claims shake the DiNunzio clan to its foundations, threatening her father's weakening heart, and Mary steps in to fight back. But Machiavelli is a more than worthy adversary. Then the unthinkable happens, and Mary goes to her own dark side, finding a part of herself that makes her more fearsome than ever before. Is it still a battle between good and evil, when good turns evil? And will Mary be able to find herself, before she loses her soul completely? Feared, the sixth entry in the acclaimed Rosato & DiNunzio series, expertly explores what happens when we are tempted to give in to our own inner darkness.